We are pleased to announce the dates for this years Leicester Fringe Festival. The festival is a week of events that runs the week leading up to the Summer Sundae Weekender beginning with a launch event at Phoenix Square in Leicester's Cultural Quarter on Friday 5 August, culminating in our fundraising main event 'Fringe Thursday' on Thursday 11 August. On Fringe Thursday we will be showcas the best in local musical talent and comedy across a number of the cities venues. There will be a whole host of events during Fringe week incorporating music, art, photography and more.  The Leicester Fringe Festival is a not for profit enterprise run by a team of individuals including two members of the organisation committee from the preceding Summer Sundae Fringe Festival. Our motives are to raise the profile of the arts scene in Leicester, raise money for local charities and support local venues. We have already established a good relationship with the Summer Sundae Festival and we hope that you will enjoy both events this August. We will be bringing you some announcements soon but in the meantime please consider joining our Facebook page (www.facebook.com/leicesterfringefestival), following us on Twitter (twitter.com/leicesterfringe) and visiting our website (www.leicesterfringe.co.uk) which will be launching very soon. Thanks for your time and we look forward to seeing you in August. The Leicester Fringe Festival is pleased to announce the first three acts that will be performing at this years Festival. Gallery 47 will take to the stage at the Crumblin Cookie on Saturday 6 August as part of the Hidden Leicestershire exhibition launch. The other two acts I Am In Love and Dark Dark Horse will perform during ‘Fringe Thursday’ on 11 August at The Lansdowne and Firebug respectively. These three acts will also be performing at Summer Sundae under the banner of 'Pick of the Fringe'. We are very excited by this announcement. It is the first time we have worked alongside Summer Sundae to help choose artists to perform at the festival. We feel it shows the importance of the Fringe Festival and gives us a chance to showcase who we feel is the cream of the crop of local talent. The acts we have chosen are top class and are already attracting national attention from the likes of Radio 1 and international attention with record deals already in mainland Europe and Japan. The Leicester Fringe Festival will begin on Friday 5 August with a launch event at Phoenix Square and will end with the annual charity event 'Fringe Thursday' across eight city centre venues on 11 August. Further announcements will be made soon and can be found at www.leicesterfringe.co.uk, our Facebook page www.facebook.com/leicesterfringefestival or our twitter twitter.com/leicesterfringe.